ArcSite allows for drawing with precision or freehand. There are 3 types of drawing tools: Continuous, Segment, and Freehand. The Continuous option allows for a "Just like pen and paper" experience. Draw without ever lifting your finger or stylus. 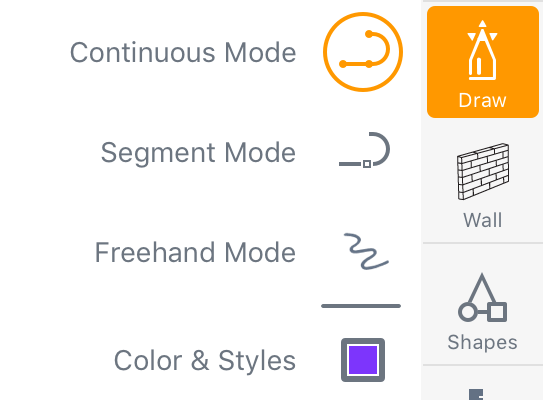 The segment option allows you to precisely draw one segment at a time. Useful when trying to get a particular angle or otherwise non-straight line. The freehand option provides a more fluid imprecise type of drawing.